The challenge for composers when writing the final movement of a concerto is to wrap up the piece by bringing back themes from previous movements, introducing something new, showing off the soloist’s technical ability, and by leaving the listener with a distinct message. It could be one of disillusionment, satisfaction, joy, even excitement. Often, I imagine the composer thinking, Ok, I’ve said all I want to say. Now for a bit of fun. The final movement of a symphony or concerto is often the most difficult for listeners when it comes to finding meaning. There is no easy answer to the question: “what is the composer saying here?” Final movements are often the least cohesive and can jump around between different sentiments. For example, Sergei Rachmaninov’s Piano Concerto No. 2, Movement 3 begins with an almost comic interlude. This, after ending an incredibly delicate, emotional second movement, seems to snap us out of a trance and bring us back down to earth where time is ticking again. In the first half of the clip below the feeling is light and comical, but it quickly morphs into anxiety. And time seems to be ticking faster. While listening to this movement, I imagine that I have just awaken from the most sweet dream (movement 2) and now I must act quickly to make that dream a reality, or it will be lost forever. Much of this movement feels frantic. Of course, Rachmaninov takes this opportunity to write an insane run in the left hand that is mind-blowing to me still, after dozens of hearings. It is hard to believe that just ten fingers are producing that many notes. The new theme that is introduced is reminiscent of the slower, sweeter theme of the second movement. There is something about the way this melody sounds that reminds me of a romanticized Middle East, like in the movies. 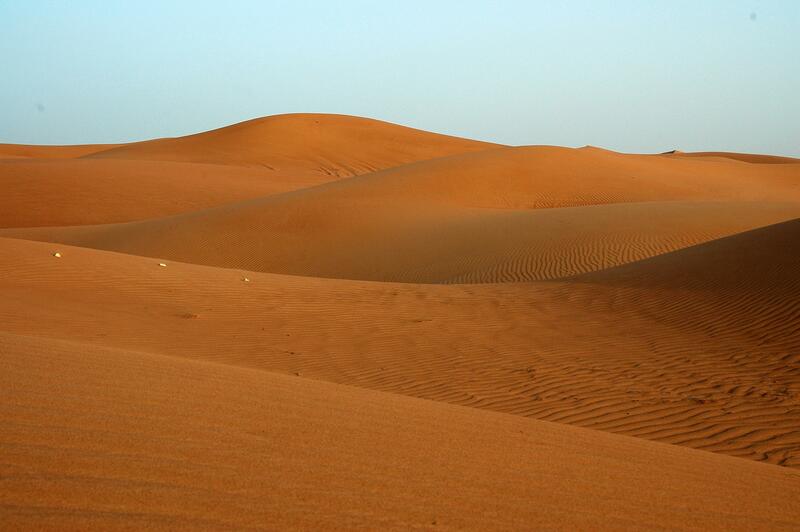 Like a bright, wide-open landscape with golden sand shimmering in the sun. 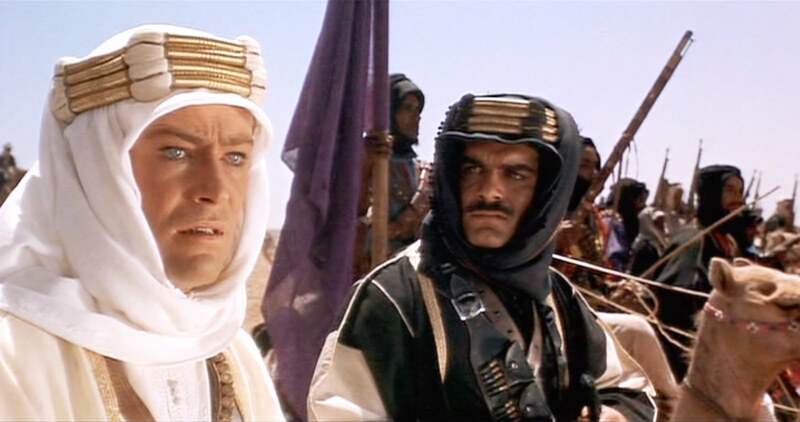 Lawrence of Arabia, anyone? The remaining clips I’ll share convey the sense of longing that Rachmaninov comes back to again and again. It is the near obsession, the intense longing for something or someone who may only exist in dreaming. It is the longing for a happier, better reality than the one we currently find ourselves in. It grows more intense as the movement progresses. First we find it in the piano, then with greater intensity and dissonance with the full orchestra. Sometimes I think Rachmaninov never really gets past the second movement in this concerto. It seems to be the climax of the concerto, and because it is such a masterpiece, it seems that anything he could have written after would exist in the shadow of it. Though this is my least favorite of the three movements, it is still worth a listen because of the raw virtuosity of the pianist and the closure that finally does come at the end. Up next: Rhapsody on a Theme of Paganini. It’ll be a wild ride. The title of this piece, Le Calme de la Mer, is French for “The Calm of the Sea.” It is a work of French Impressionism, though its composer, Tony Aubin (1907-1981) lived and composed much later than other Impressionist composers. This piece was published in 1965 while most impressionist works were published before 1920. 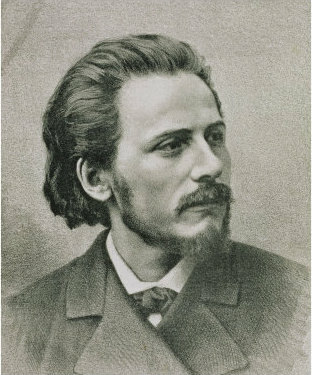 Aubin was influenced by Claude Debussy, Maurice Ravel, and Paul Dukas, who was one of Aubin’s teachers. 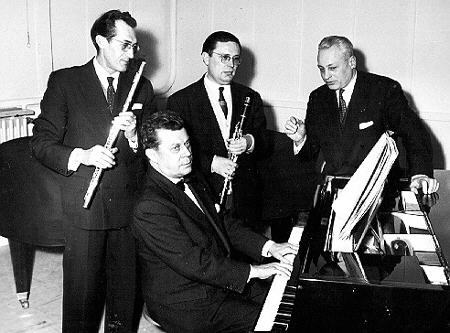 To the right is a photograph of Tony Aubin coaching a trio with the same instrumentation as this piece: flute, clarinet, and piano. This is a rare instrumentation because all of the instruments sound in a generally higher pitch than other groups who have low-sounding instruments as well as high. A trio with just three performers has the advantage of being small enough for each instrument to get a chance to perform the melody, accompany it, and play in close harmony. 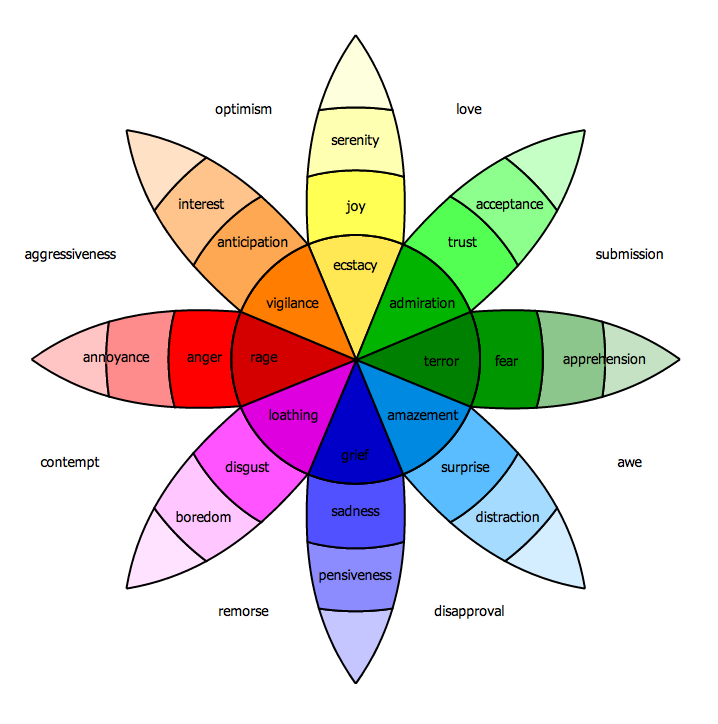 This is a reposting from my series on emotion in Classical music from September 2012. 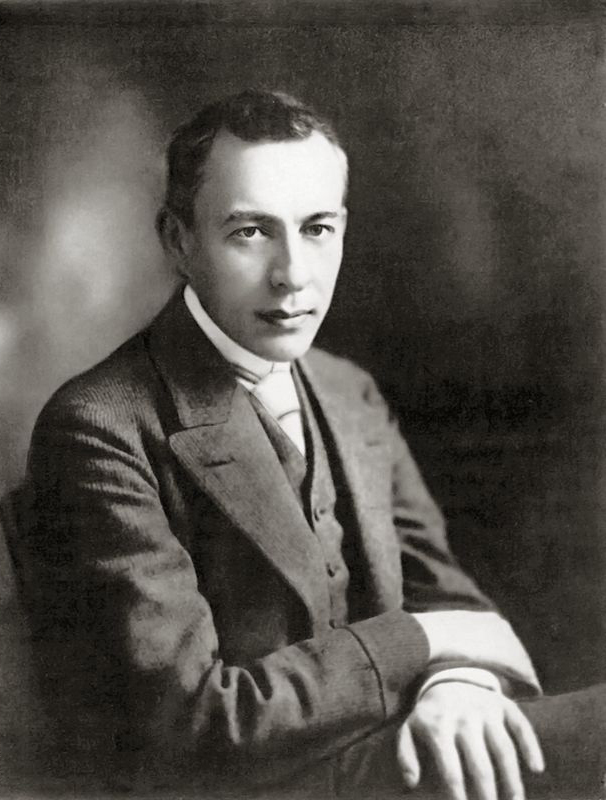 Sergei Rachmaninov (1873-1943) is one of my favorite composers because of the intriguing tonality, unique instrument combinations (scoring), and mostly because of the passionate emotion that is packed into every piece. His piano concertos are especially worth exploring because of their accessibility to audiences and the incredible virtuosity in the piano parts. Because Rachmaninov had such incredibly large hands, he was well suited to the piano and produced some of the most well-known music in piano repertoire. To continue with my exploration of emotion in Classical music, today’s clips come from Rachmaninov’s Piano Concerto No. 2, Mvt 2: Adagio Sostenuto. The title of this movement simply means slow, smooth, and sustained. Not very descriptive. But the music is incredibly descriptive of one emotion in particular: longing. Longing for deep satisfaction. For intimate love. To know and to be known deeply. To be near a loved one and see their smile, even if for a moment. The kind of longing that takes away breath and causes deep sighing. When I listen to this music, I get a sense of longing so intense that it makes my heart hurt. And yet it is worth listening to every minute because of how beautiful and inspiring it is. The simple melody first appears in the clarinet, which produces a sweet, innocent tone quality that could soften even the most callous listener. The quiet, warmth of the strings playing major chords in the background and the piano accompanying the clarinet brings about a supported, safe feeling. But as they say, “love hurts.” There are few pieces that characterize romantic love that do not also display a dissonant longing, hurting, or yearning for something that once was that may never be again. Or a longing for something that can never be, except fantasy. This next clip captures this with great accuracy. The key switches from major to minor as Rachmaninov alters the melody to sound sad. It sounds sad because the middle note in the 3-note chord is one half-step lower and because the melody goes down instead of staying up. It speaks to how being in love can be disappointing when there is distance, hurt feelings, or because it just doesn’t satisfy the feeling of deep longing. Rachmaninov then takes us on a whole emotional journey (or some might call it a roller coaster) only to return to the original melody, much stronger and more certain than before. This clip starts with the last note of the melody in the strings, but instead of ending the movement, the melody turns around and goes up. The feeling here is a flower blossoming in the sun, opening to reveal its radiance. To me it feels like one big, orchestral embrace. It’s like the music holds me, grips me, and refuses to let go. It feels like divine love. You’ll have to excuse my extreme sentimentality in this post. To some, this music is too romantic and sentimental, like overly-rich fudge. It is easy to write off Classical music of this kind because cynicism is so prevalent. “If it seems too good to be true, it probably is.” But my hope is that you’ll let your guard down and listen to the whole concerto (32:30) and allow yourself to be swept away by the music. I hope it will leave you feeling loved and satisfied, and perhaps longing for more the way it does for me. This post is dedicated to my wife who is my encouragement, my inspiration, and whose love I long for more than ever after seven years of marriage. I love you, Dawn! This piece reminds me so much of you. Eric Whitacre (b. 1970) is one of the most popular composers, conductors, and clinicians today. He is very charismatic, tech-savvy, and has just received his first Grammy award. Be sure to check out his website where there are many amazing projects, such as his virtual choirs which are explained in his Ted Talk. While principally a composer of choral works, my favorite piece of his was written for band, or wind symphony as those in the profession call it. October is my favorite month. Something about the crisp autumn air and the subtle change in light always makes me a little sentimental, and as I started to sketch I felt that same quiet beauty in the writing. The simple, pastoral melodies and subsequent harmonies are inspired by the great English Romantics (Vaughn Williams, Elgar) as I felt that this style was also perfectly suited to capture the natural and pastoral soul of the season. I share Whitacre’s sentiments, but I would add that to me, the piece expresses a sad, emptiness. Listen to the couple of clarinets accompanying the oboe soloist. It seems as though the oboe is calling out for comfort, a kind word, love or acceptance. As I hear this part, I do imagine a pastoral scene where I am in the middle of a field of wheat, completely alone without a soul in sight. The scene has a chilling beauty to it, as though it would make me happy if only I had someone to share it with. Soloists often express human emotion the most tangibly. There are two oboe solos in this piece and a rare euphonium solo as well. If you are not familiar, a euphonium is a low brass instrument with roughly the same range as a trombone. However, it has valves like a tuba and has a bell that faces up instead of forward. It tends to have a sweeter, more muted sound than the trombone. The University of North Texas, where I received my masters degree, has the only full-time euphonium professor, Brian Bowman. I gained a new appreciation for the instrument during my time there, being surrounded by so many great euphonium players. While the piece does end on a strong major chord, it is only after a long emotional journey. 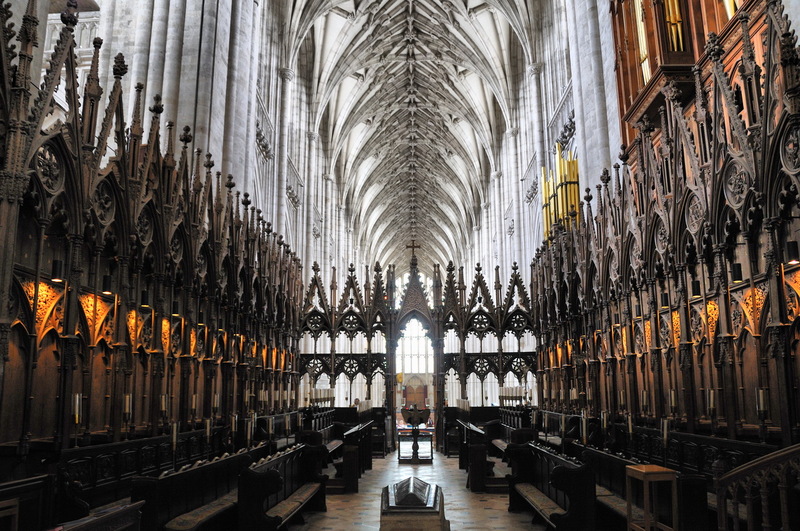 The feeling the listener is left with by Whitacre is one of a greater appreciation and greater affection for that which is important in life. This is perhaps the chief utility of negative emotions like sadness and sorrow: to give us a better perspective on the good. Thanks, Eric. Meditation from “Thais” is a piece for violin and orchestra played in between scenes in the tragic opera, Thais by Jules Massenet (1842-1912). The story is about a monk who travels to Egypt in order to convert a woman, Thais, but falls in love with her in the process. After she converts and comes under the care of the church, the monk renounces his religion in favor of pursuing Thais romantically only to find her on her death bed from illness. I love a good tragedy, don’t you? This piece is another great example of emotion in Classical music. 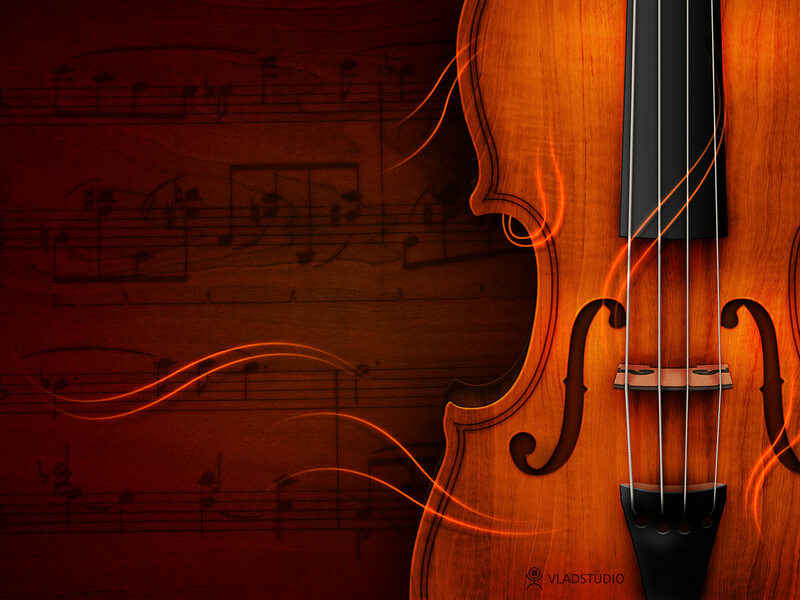 The sound of the violin could not be sweeter or more passionate. The vibrato (fast wavering of pitch) in the violin is meant to sound like the natural human singing voice, making the violin one of the most personal and human-sounding instruments. 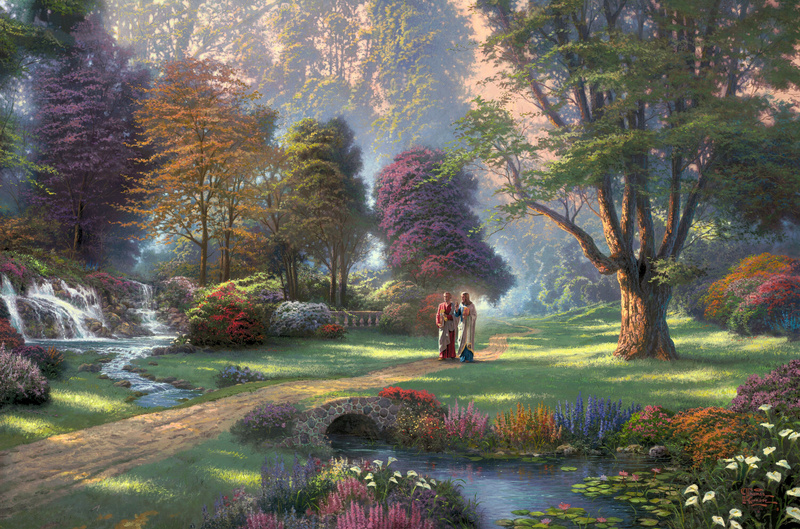 I love the way this piece depicts both a romantic love and a heavenly, divine love. The melody in the second clip begins the same way as the first clip, but it then takes a turn toward a higher, more brilliant sentiment than before. As the strings crescendo (get louder) in the background and the key changes, it seems that we’ve arrived somewhere we didn’t expect: a pleasant surprise. It is clear that romantic love, longing, and passion is one of the emotions that Classical music expresses best. For me, this music both creates longing and fulfills it at the same time. There are hundreds of selections I could have included in this series and I will be writing about many of them in the future. Stay tuned. To continue with my exploration of emotion in Classical music, today’s clips come from Rachmaninov’s Piano Concerto No. 2, Mvt 2: Adagio Sostenuto. The title of this movement simply means slow, smooth, and sustained. Not very descriptive. But the music is incredibly descriptive of one emotion in particular: longing. Longing for deep satisfaction. For intimate love. To know and to be known deeply. To be near a loved one and see their smile, even if for a moment. The kind of longing that takes away breath and causes deep sighing. When I listen to this music, I feel a longing for love so intense that it makes my heart hurt. And yet it is worth listening to every minute because of how beautiful and inspiring it is. This post is dedicated to my wife who is my encouragement, my inspiration, and whose love I long for more than ever after six years of marriage. I love you, Dawn! This piece reminds me so much of you. Enigma Variations by Edward Elgar (1857-1934) is a theme with a set of variations written about various people Elgar knew throughout his life. These people ranged from his wife, (variation 1) to his friend’s dog (variation 11) to a great friend and mentor (variation 9). It is variation number nine, entitled “Nimrod,” that expresses a great sense of longing. You may have heard this piece during the Opening Ceremonies of the Summer 2012 Olympic Games. I admire Elgar for writing a piece about people who have inspired and encouraged him. It sounds like a good exercise to sit down and write about those who have encouraged me over the years. This variation about the encouragement Edward Elgar received is in itself an encouragement to me. It helps me remember that I would not be the person I am today without the encouragement of my parents, my wife, my friends, clarinet teachers, and various other mentors in my life. And that’s why I want to tell you about my friend, Jesus Christ. Just kidding! You thought I was about to get preachy. But seriously, this work does remind me of Jesus. I was at a conference in college when I first heard Variation IX. 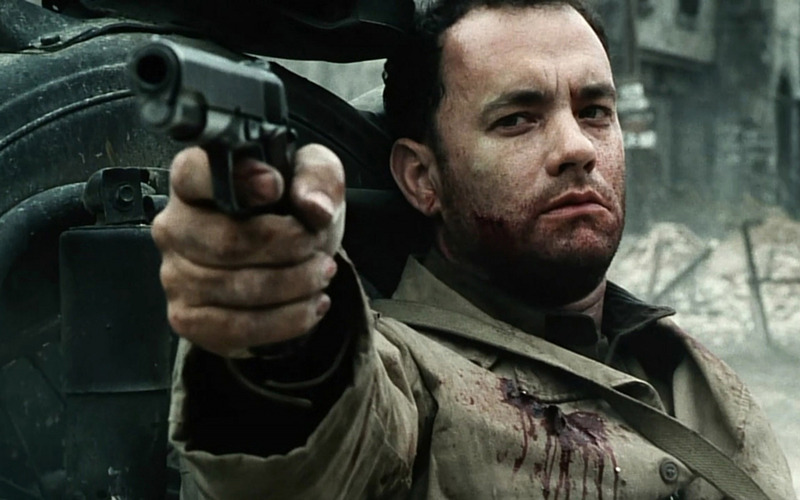 It was the soundtrack to some powerful scenes from blockbuster movies. 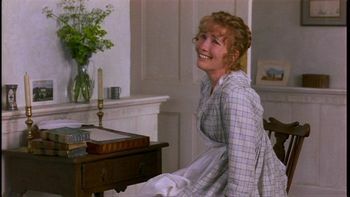 A word would appear on the screen, like “courage” and then it would show a scene from Saving Private Ryan, or it would say “true love” and would show the final scene from Sense and Sensibility. Finally, it said “sacrifice” and showed a scene from The Jesus Film with Jesus dying on the cross. I don’t remember the last slides, but the message was about the story of creation and how we have a God that loves us through it all. He has been a source of encouragement since I was very little and heard my first bits of Classical music. When I think about the way Jesus lived his life, the way he encourages me in dark places, and how he is so present in this moment the way this music is, I long for his goodness. Instead of going into the musical reasons why this piece is so powerful, I have some homework: listen this piece in its entirety, with no distractions, and meditate on someone who has inspired you. Did anyone specific come to mind? Be encouraged and thankful for him or her, and let the longing you feel motivate you to continue doing all of the good things you do. I’ve often heard that love isn’t an emotion because of how complex it is. For example, one can be in love but not feel loving. The thing is, love is complicated. It is risky, exposing one’s faults and true self to another. It is risky because when a person loves, she has more to lose. There is potential for loss in love. Loss of one’s sense of self or the loss of a lover. There is betrayal, the building and breaking trust, coping with loneliness during a loved one’s absence, and facing discontentment when a person doesn’t live up his promise and doesn’t ultimately satisfy the longing of the heart. Longing or desire is probably a more accurate term to describe this weeks music. 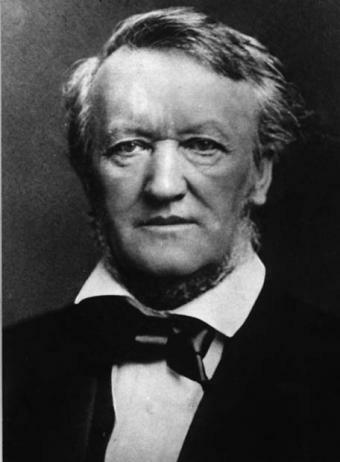 Wagner uses diminished chords and non-chord tones here to bring about dissonance which gives us a feeling of uneasiness. When the horns enter in this clip, it is almost startling how loud they are. It is like they are trying to force positive feelings upon us with their overconfidence. In the end, Elsa’s fears were confirmed when the knight’s true identity was revealed. He had only married Elsa to save her from her accuser. Elsa had married someone who turned out to be a stranger. He left her for his political career and Elsa died of a broken heart in the end. The famous wedding march, the one we all think of when we think of weddings, first appeared in Lohengrin in the scene after Elsa’s Procession. It is hard to believe that it has appeared in so many given the plot of the opera for which it was written! Every genre of music writes about love, but only Classical music seems to capture the scope of emotions and complexity with any degree of elegance. The emotion that is most portrayed is longing. Longing to be loved, accepted, cared for, and to escape loneliness, worthlessness and death. That is something we all have in common, which is why I believe that Classical music is for everyone. At heart, I believe that Classical music isn’t just for everyone, but it is for everything. There is Classical music for every occasion: working, relaxing, eating, drinking, watching a movie (most are orchestral scores), studying, dating, breaking up, getting married, fighting, dying, dreaming, praying, laughing, mourning…you get the idea. Songza has developed an excellent, Pandora-style radio that is meant to play music for every occasion. I would love to see a version within the Classical music genre. Michael Tilson Thomas’ quote (above) speaks about the nature of our humanity. Our wide spectrum of emotions is something that makes us uniquely human. Over the course of history, we have turned to music to express emotions because our more left-brained forms of communication were insufficient. Classical music has expressed these emotions to a much greater extent than any other musical genre. I would argue that it has also expressed these emotions more deeply and completely than any other genre. But this is a matter of personal taste, of course. On a personal note, this series is meant to exercise my writing muscles and develop consistency. I am purposely giving myself very little time to write each post so there will be no room for my perfectionist tendencies. Wish me luck! This week: fear & anxiety. Enjoy!